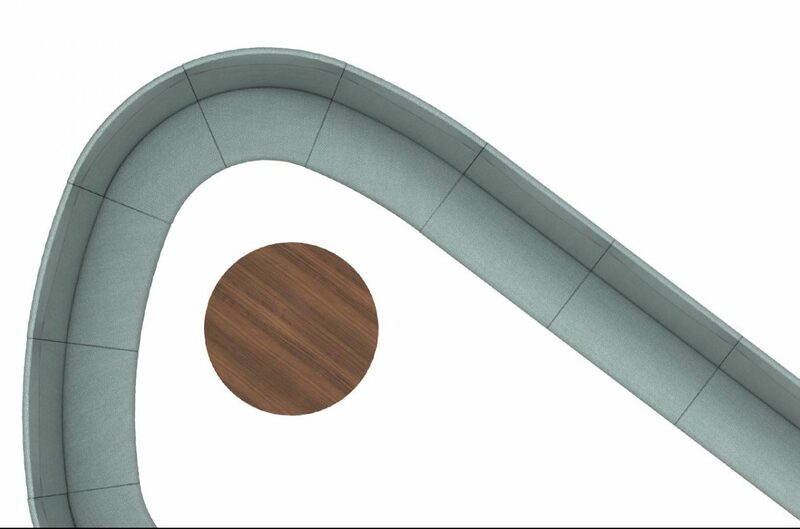 by Brianna Crandall — July 2, 2018 — UK-based furniture manufacturer Boss Design scooped a prestigious NeoCon Gold Award in the Furniture Collections for Collaboration category of the Best of NeoCon Competition for its “revolutionary” modular seating system, ATOM, that was designed in collaboration with the award-winning British furniture designer Simon Pengelly. 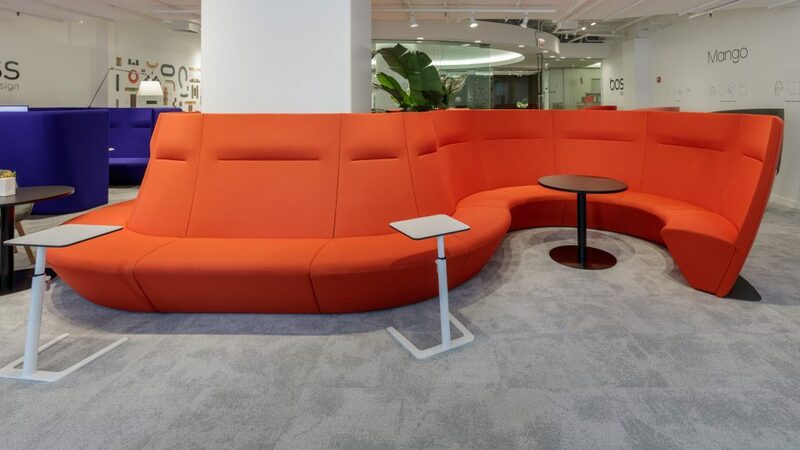 Designed to honor new products exhibited at NeoCon — billed as the largest commercial interiors show in North America, held at the Merchandise Mart in Chicago — this year’s Best of NeoCon competition judged 375 entries across 41 product and furnishings categories. The competition was judged by 42 contract interior designers and architects, as well as corporate, healthcare, government, and institutional facilities management (FM) executives who are responsible for selecting and buying furniture and furnishings for their specific organizations or clients. We are thrilled to have scooped this prestigious award and for ATOM’s revolutionary design and product excellence to be acknowledged in this way. ATOM represents the most versatile furniture collection on the market; a single family of products capable of furnishing an entire workplace, and we are confident that it will continue to inspire designers, architects and specifiers across North America, and the world. This latest award is also testament to Boss Design’s expertise in innovative design and quality manufacturing. With dedicated manufacturing facilities in North Carolina, and a showroom in Chicago’s Mart, we are making a significant impact in the USA market with our revolutionary and exciting products. An extensive system consisting of modularized seating, tables, desks and screens, ATOM offers a seamless and holistic furniture solution for a complete working environment, from reception to boardroom, facilitating the needs of small and large teams, as well as individual focused work. Unlike most modular seating and high-back upholstered systems, ATOM offers a series of slim and elegant sections that can be used over large areas without domineering a space. Comprised of 14 individual pieces of seating, including seven high-back and seven low-back options, ATOM is designed to make every space matter, with the ability to create an “infinite” number of configurations suited to a broad array of public, educational and corporate environments. To learn more about ATOM and the company’s other NeoCon introductions, visit the Boss Design website. Help occupants concentrate better in open floor plans with this acoustical partition, now on a rolling track April 27, 2018 In "Products and Services » Furniture & Furnishings"